I received this book for free from St. Martin's Paperbacks in exchange for an honest review. This does not affect my opinion of the book or the content of my review. Elektra Worthington is the lovely middle daughter of the eccentric, impoverished Worthington family. Her beauty means nothing to her except as her currency to return the Worthington name to its former glory of status, riches, and dominance in the ballrooms of Regency England. To this end, she will stop at nothing—even if she must kidnap a rich lord in the process. 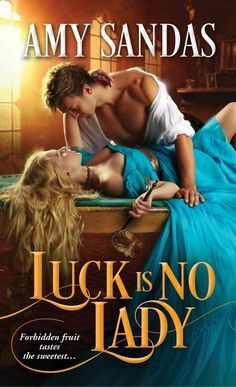 If this lucky gentleman is just returning from a long absence and knows nothing of the Worthington reputation, well, a girl shouldn’t look a gift lord in the mouth…right? With This Ring is the most recent release in this series by Celeste Bradley. I was able to receive a ARC in return of a honest review. I had really high hopes for this one, since every other book I have read from this author I have really enjoyed. However, I am sad to say that I couldn’t get into this one at all. I had a really difficult time keeping focused on the story, and I felt like the story line was balanced in some ways. However it felt a bit off and I after getting half way and getting to the point where I was almost skimming it, forcing myself to keep reading, I just knew I needed to put it down. I had a hard time choosing to do so, especially with it being a ARC, and when I have enjoyed this author, and in the past I have come to admire her compelling talent for her style of storytelling. In the past she has made regency romances come alive for me, and maybe I had too high of hopes, I am not sure. The basic of the story is pretty solid, and the characters seemed somewhat strongly situated into the story, but I never felt a connection and I felt like a bouncing ball as I was reading. I had the feeling of being disoriented, and I think the flow could have been a bit more smoother. I hope one day I can come back to this one and maybe I will enjoy it more. Even though I didn’t enjoy this one, I do plan on reading more from this author.